No, there are no fields in the city. That’s true. 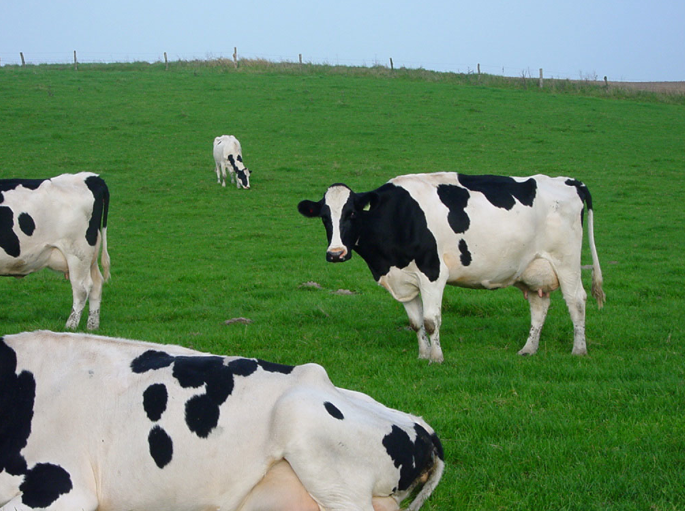 There are sidewalks, potholes, and tons of stuff that doesn’t remind me of cow tipping (Disclaimer–cows should be standing upright at all times. Disclaimer 2–I never tipped a cow. It is a mean rural stereotype. Don’t try this at home). 1. You’ve chosen a neighborhood of interest, yours or another, and you’ve really taken a look. You might pass Stanley’s or gone in to eat a burger every day, but have you studied the pulse of Central Falls? Pawtucket? Providence? 2. We’ve discussed data and what it’s useful for–we decided it can often lead us to false conclusions. We calculated the math. In the case study of Pawtucket, where 1:2 whites own houses, 1:4 African Americans and 1:4 Hispanics own houses, you first thought that indicated a wealth pattern. Then we analyzed that further and you said that it depended on who owned which houses. Our conclusion: More information is necessary. That’s where your field-based research comes in. Numbers can be used to tell any story. The same numbers can be interpreted in different ways. Your job is to tell that story. 3. We decided that classifications are a tricky thing. Looking at the census, we examined ethnic classifications. “Black or African American” and “Hispanic or Latino” boxes on the census can be tricky–how do people identify themselves? And what is “white” or “other” anyway? Again, this isn’t just about how people identify themselves, it’s becomes about numbers, populations, and the story of the area. You are telling this story–you will have to sort this out. 4. Interviews: You were given the task of safely interviewing some people with guided questions. A good interview gets the story out. It never forces the questions. We talked about good interviews and bad interviews–some of you have noticed “nobody in this area wants to talk to me,” or “They won’t answer my question.” This is part of the game–the best interview is one where the story comes out and it seems like a conversation. Get people to let down their guard–they’ll tell you anything. I used to do this in investigations–it works. You have to establish rapport-a relationship. It’s one of those “money skills” you’ll use in life. Keep going–tell the story of your neighborhood. Is it improving? Declining? How do people use the government, community groups, and citizen action to get the job done? That’s civics. That’s all there is to it! Your resources: Please add more to the comments. You have been finding a ton. We watched The Manchurian Candidate because you can’t really ever get enough of Denzel, as someone noted in class, but it went a bit deeper. This film showed the dark side of American politics–it’s a remake of a film that starred Frank Sinatra, and used possible Communist takeover as the backdrop for political control. Is this film so far fetched? Is it possible for a candidate to be totally controlled by special interests? Maybe putting implants in the heads of military officers and commanding them to assassinate key officials on command is a little extreme…or is it? 1. What is the nature and range of mind control? Aren’t we all controlled by outside forces just a little bit? 2. Are there situations where lobbyists and political organizations control candidates and influence decisions? 3. Are there concrete, hard-core situations where the military or government has engaged in research involving substances, mind techniques, or other research designed to create the Super Soldier? Research and post about at least one of the critical questions. Then, develop a topic educating the class on one of these questions. Include visuals, links, or citations as appropriate. Use at least three sources to verify your research. Evaluate your sources–conspiracy theory info is rampant on the web. Be prepared to discuss the validity of each source, and why you believe it to be an objective source, or, if not objective, accurate. If your source is clearly one-sided, explain the perspective of the source. You will conduct a three to five minute presentation based on your research. Are You Owned By Madison 5th Avenue? New York has traditionally been the hub of all things advertising, although this has changed somewhat with the advent of more mobile technology. Throughout history, advertising has been a lucrative business as the American economy transitioned to consumerism, especially after World War II. In Mona Lisa Smile, we see how this affected a generation of women–modernizing meant labor-saving devices to take care of the family so that they could “get the dinner on the table by 5:00.” We saw this in advertising slicks, character archetypes. This film shows the social history of the post-war era very well. The 1950’s were about the rise of the suburb and the American middle class. 1. How does advertising and media portray certain groups of people at certain times in history? 2. Are these images accurate? 3. Why do the advertisers and media want to portray group in these way? 4. How has the image of this group, as portrayed in advertising and media, changed throughout history? Pick a certain demographic or group, then pick a decade from US history. Research advertisements that show your group in that decade. Then, analyze the information you find, and either write a blog post linking to the material and addressing the critical questions, or present your findings to the class in a 3-5 minute presentation, including visuals. Option two: You may choose to examine a certain product throughout the ages–for example cars, or Coca-Cola. Look at how the campaigns change, and explain how pop culture drives this. 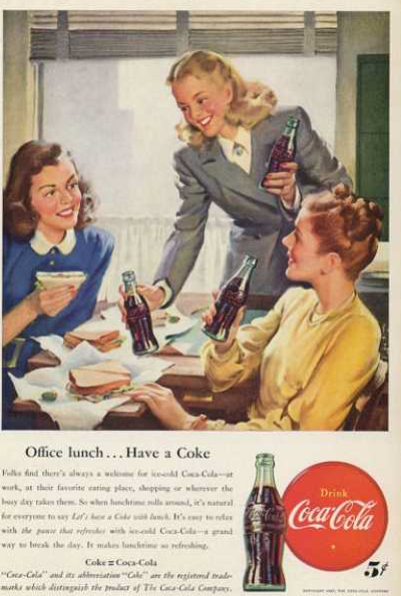 Please add any interesting vintage advertisements you find to this Learnist board, “Vintage Advertisements,” so we can have a collection of our thoughts, showing how each group was portrayed. This challenge turned out wonderfully. I’m going to post a few of the most successful presentations here. Offensive Advertisements: Alyson and Shyla researched material that is from the mainstream American advertising culture and assembled it into the theme “offensive advertisments.” The shocking nature of some of these “you’ve seen these on TV at 4PM” ads really hit home. What was more, was the reaction of the audience, by gender, to this presentation, shows me that we have a very long way to go. We will spend more time discussing that reaction next time we meet. The men–Domenick, Dylan, Edward, and Dayvon–traced the history of one of the iconic brands from American History–showing how the campaign for Coca-Cola transformed from the use of women to portray the home and family to one that quickly evolved to pin-up girls. Dot and Mileena had some technical difficulties, but dug up an impressive archive with a theme that mirrored Alyson and Shyla. They have agreed to put it together for use here. Showing women in the kitchen, dominated by men, and portrayed negatively even in modern ads, they showed us the need to work on this image. Zach and Britney took an entirely political approach, tracing the history of wartime propaganda ads and their effects on the American public. We have more to go, and I would love to see you share these with me via Google doc for posting here. This assignment, and the after-convo, inspired me to do the work myself–I made this–Dove Beauty Campaign’s response to the fact that only 4% of women feel they are beautiful. Please add to this Learnist board. It’s an important topic.